Focusing on customers has been the main Upper Bounce principle from the very beginning. 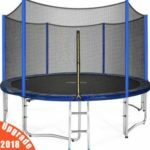 For many years Upper Bounce sell great quality trampolines of various shapes and sizes, best accessories and provide top-notch customer service. Experience it yourself and you will certainly recommend Upper Bounce trampolines to your friends and neighbors. 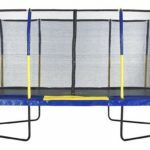 Adding a trampoline to your backyard enhances the joy of outdoor play for your children. 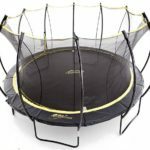 While getting a trampoline for your kid(s) is a wonderful idea, it may be difficult to choose one of the many available options in the market. Upper Bounce Trampolines are one of the best choices among all. 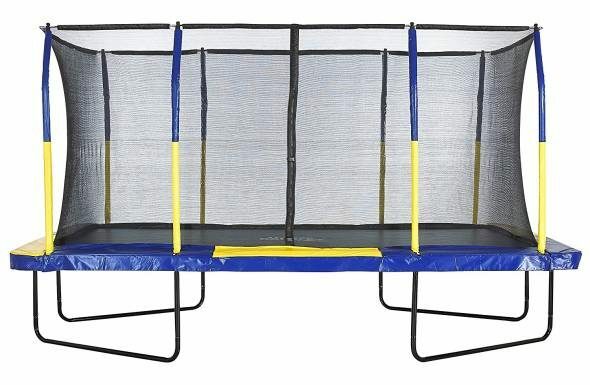 These trampolines are durable, safe, as well as fun. The best part is these trampolines do not need any hardware to be assembled. It becomes more convenient to move from one place to another as the simple assembly allows the poles to come apart. Not only the convenience of assembly, the galvanized steel frame and base legs are covered with a powder-coat substance that helps prevent rusting, also making the appearance much appealing. The net and mat are made of strong, premium polypropylene mesh which has been added with eight rounds of stitching for security. The strong Frames of galvanized steel make the skeletal part more durable and safe from demolition. 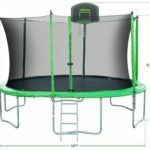 Keeping in mind the requirement of trampolines, depending upon the size of your backyard and also the age group who use it, there are many Upper Bounce trampoline sizes available in the market. Various shape and sizes like round, square, rectangular, etc. provide you numerous options that suit your need and demand. The size ranges from 7.5 feet to 16 feet. 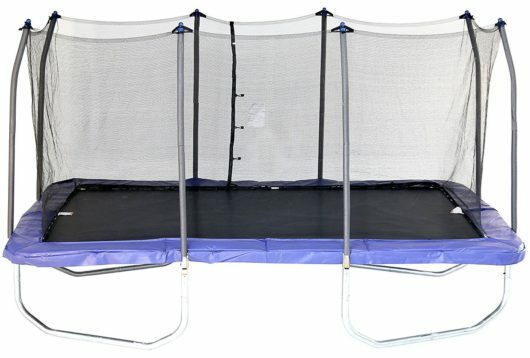 The parts made up of high quality material make Upper Bounce trampoline go for years in a row without showing any sign of defect. But, as we know, nothing is perfect. Therefore, if any difficulty or problem with parts is found, they can be replaced at your nearest local store.